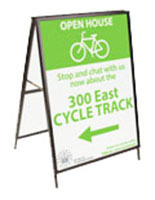 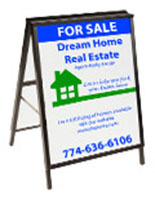 Media Size: 23.5" x 35.5"
This double-sided frame for signs is made of steel to be durable and heavy enough to withstand light wind. 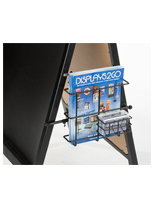 The portable display has a fold up design that becomes virtually flat when collapsed with a 2.75” height, all making the sidewalk holder very easy to transport and store. 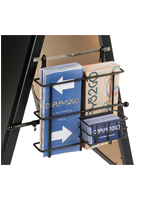 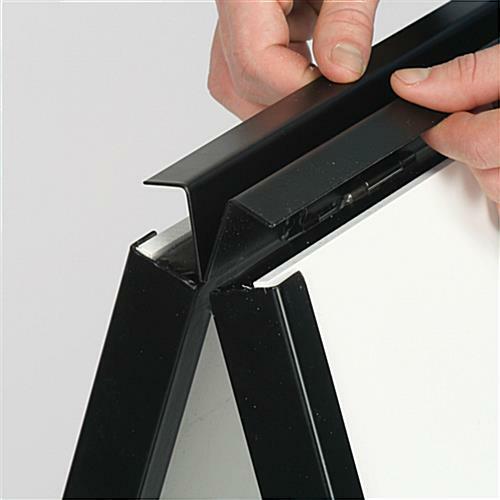 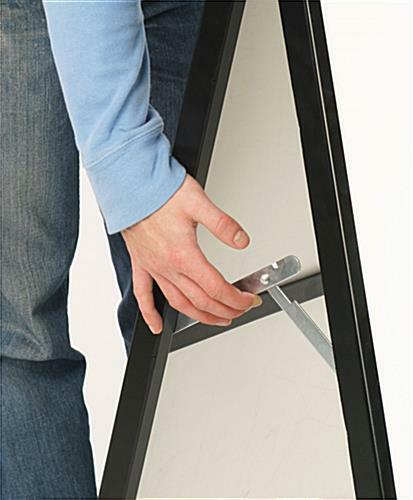 The double-sided frame with hinged top simply requires users to slide in signage up to 1/4” thick and then to close to top when finished. 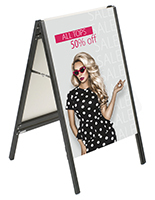 The sandwich boards include no protective lenses and so graphics will be exposed to the elements if the frame is used outdoors. 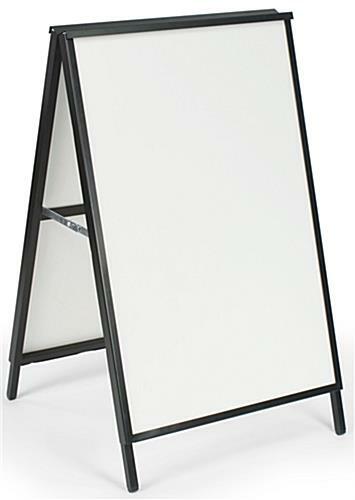 The frame is colored black to help it blend in with the background and allow the graphics to get all the attention. 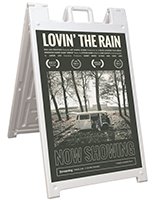 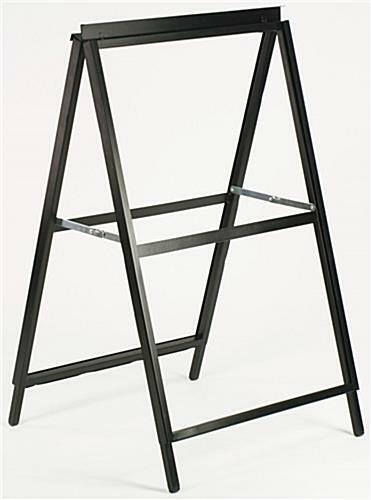 The 23.5” x 35.5” portable frame is great for businesses that frequently change marketing or information for customers because of the easy to use hinged framing style. 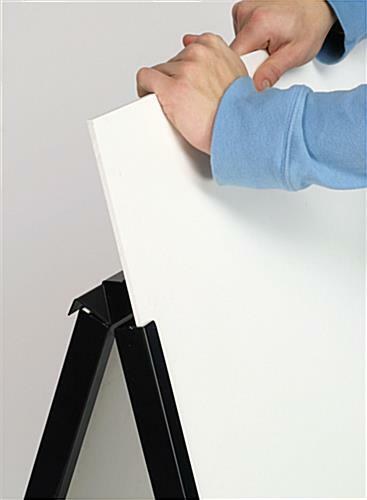 18.0" x 40.0" x 24.5"